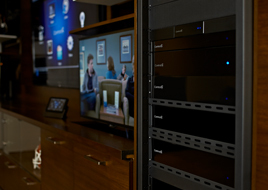 We are a top class dealer and installer of High End Home Automation & Entertainment Systems who specialise in large residential systems for private clients. We are based in Ireland and offer the best quality products and services around. Cyberhomes understands that technology should work for you, freeing your time and making life simpler. Our contemporary home automation and smart building solutions give you easy, real-time control of your personal and working space. With a complete bespoke design, installation and support service we utilise top of the range technology from leading brands to meet your integration needs. Each installation is unique and tailored to the exact requirements of your residential or commercial space. We work on both small and large projects alike, but no matter the scale of the project at hand, we pride ourselves on the quality of our work. This, along with our impeccable customer satisfaction leads us to be the top in our field of work. 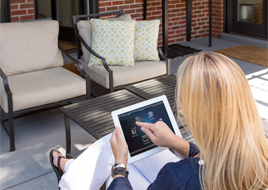 Our systems allow you to control a multitude of devices in your home.Our systems allow clients to enjoy all video sources anywhere in their home with leading digital music systems enabling music to be played throughout. Depending on preference, rooms can operate independently or collectively to always fit the mood. Our cutting edge designs allow future devices to be easilyadded at later dates. We give you an audio video system that the entire family will enjoy for years to come. We install high quality, flexible and future proof multi-room and entire household audio video systems. Our systems allow clients to enjoy all video sources anywhere in their home with leading digital music systems enabling music to be played throughout. Depending on preference, rooms can operate independently or collectively to always fit the mood. Our cutting edge designs allow future devices to be easily added at later dates. We give you an audio video system that the entire family will enjoy for years to come. Our systems allow clients to enjoy all video sources anywhere in their home with leading digital music systems enabling music to be played throughout. Depending on preference, rooms can operate independently or collectively to always fit the mood. Our cutting edge designs allow future devices to be easily added at later dates. We give you an audio video system that the entire family will enjoy for years to come. Our systems allow clients to enjoy all video sources anywhere in their home with leading digital music systems enabling music to be played throughout. Depending on preference, rooms can operate independently or collectively to always fit the mood. Our cutting edge designs allow future devices to be easilyadded at later dates. We give you an audio video system that the entire family will enjoy for years to come. stems enabling music to be played throughout. Depending on preference, rooms can operate independently or collectively to always fit the mood. Our cutting edge designs allow future devices to be easilyadded at later dates. 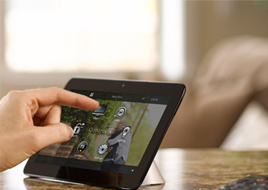 We give you an audio video system that the entire family will enjoy for years to come.